ABC Open Broken Hill's Jenia Ratcliffe is visiting Far North West NSW this weekend, and will spend the 20th and 21st of April 2013 in Milparinka and Tibooburra (respectively) where she is holding photography workshops, and the best part is that not only is everyone welcome, the workshops are free. Okay, so Milparinka isn't exactly around the corner, it's about 296 km north of Broken Hill (or 1,150 km from Melbourne - I won't be going) and Tibooburra is another 39 km beyond (north) of Milparinka or 335 km north of Broken Hill. I have yet to visit either of this famous historic towns, but hope to on one of my trips to Broken Hill, so I can't tell you much about them. No doubt after the workshops, which run between 10am and 4pm each day there will be plenty of photos downloaded onto ABC Open Broken Hill's website, as well as participant's Facebook pages and well, they could end up anywhere these days. 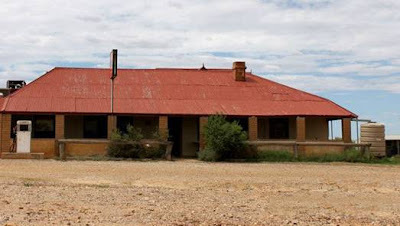 My point being that the photos will provide a great opportunity for readers to get a taste of what's in store if you manage to make the trip to these isolated towns where a real taste of outback Australia can be found. Here are the links to ABC Open Broken Hill's information about each of the workshops, and Jenia's contact details can be found there and below - see Milparinka link and Tibooburra link. Here is a link to a recent article Jenia wrote about Milparinka's 'Pub with no beer'. 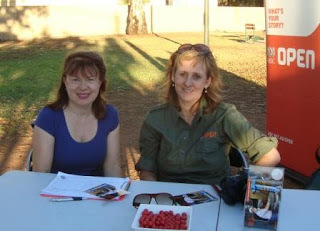 The workshops sound like a great opportunity to spend time doing something different in a striking outback landscape.